If you’re like the majority of people, you tend to spend far more time in your home once the cold winter weather sets in. Winter is the time when most people prefer snuggling up inside where it’s warm and cozy instead of facing the freezing weather. Unfortunately, this brings with it some risks, as your indoor activities could actually increase your risk of suffering a damaging and potentially deadly electrical fire. Therefore, it is highly recommended that you pay close attention to make sure you don’t commit any of these common mistakes. Winter can be a time when you have your heaters running nearly non-stop. This obviously provides the benefit of helping to keep your home warm, but it also carries increased fire risk. One common cause of winter fires is improperly placed space heaters that set fire to furniture or other items that are too close to them. Therefore, it is vital that you always make sure all heaters are away from walls and furniture. In addition, it is important to keep all of your heaters and vents unobstructed. Heating pads and electric blankets are both common sources of house fires, which is why you should always make sure to closely follow the instructions and use them only as directed. You should also regular inspect the cords to ensure that they are free from damage. Using an electric blanket or heating pad that is folded up or smothered underneath other items also increases the risk of fire. Last but not least, you should make sure never to fall asleep with them still turned on. 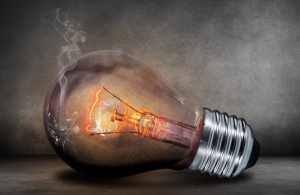 Known as overlamping, using light bulbs that are a higher wattage than what is recommended for the fixture is far and away one of the most common sources of house fires. The lack of sunlight in winter can make it tempting to want to brighten up your home, for instance, by trying to use a 100-watt bulb in a 60-watt fixture. However, you are better to use more lights than to attempt to cheat by using a higher strength bulb, since this greatly increases the risk of an electrical fire. When it comes time to plug in those space heaters and electric blankets, you might be tempted to simply plug them in along with all of your other electrical devices. 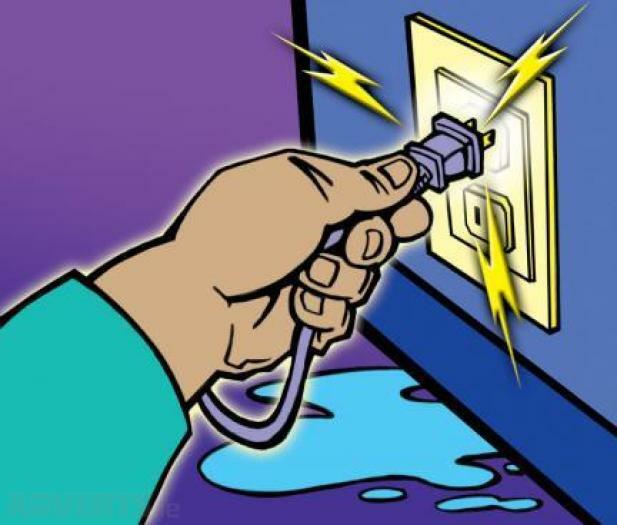 However, it is vital that you make sure you’re not overloading the outlet when you do so, since this can also lead to a fire. For this reason, you might want to consider using different outlets or simply unplugging some of your other devices whenever you need to use your heater or blanket. The above are some common electrical mistakes that too many people make each winter. However, they’re certainly not all of them. For example, it’s important to ensure your home electrical system is in complete working order and free from any problems. In this sense, any repairs you may have to pay for will be well worth it if it helps you to protect your family and your property. Moreover, there are now companies that allow you to sell electrical equipment, which means you might be able to get rid of those broken circuit breakers or other components you had to replace. Either way, the most important thing is that you’re being proactive and trying to prevent all of the common electrical hazards.